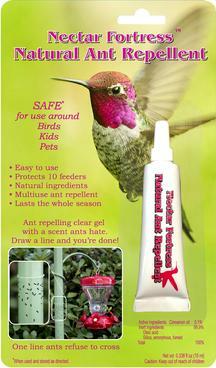 Nectar Defender™ naturally and safely protects your nectar and feeder. It contains no artificial preservatives or dyes, just a mineral micronutrient that keeps nectar fresh much longer. 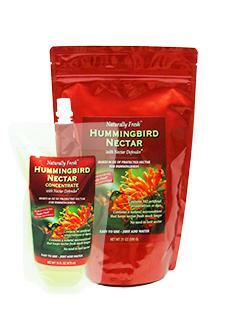 This mineral micronutrient is part of a hummingbird's natural diet. Nectar Fortress™ Natural Ant Repellent is an ant-repelling clear gel that is made from natural ingredients. Simply draw a line across any paths ants might use to get to your feeder, and you're done. It is made from food-based ingredients, and safe for use around children, birds, and pets. Nectar Fortress is weatherproof, so one application lasts the whole season. Naturally Fresh ™ is specially formulated to provide hummingbirds and orioles with a healthy nectar that stays fresh longer. Naturally Fresh contains Nectar Defender ™. With Naturally Fresh, hummingbirds will enjoy having fresh nectar every time they visit your feeder. 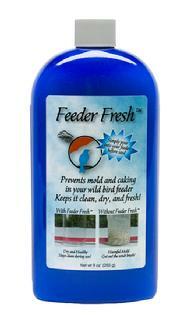 Feeder Fresh™ Feeder Fresh prevents mold and caking in your bird feeders, makes them easy to clean, and more appealing to birds. It is a bird-safe moisture trap and seed preservative that fights rain, condensation, leaks, and humidity to keep your feeder fresh. Crystal Clay® is an invisible soil that allows you to see root development with clarity. 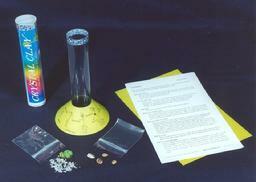 This unique product that is both educational and fun, and comes in a complete kit, with seeds. You just add water! For schools and individuals alike. Simple Start ™ pre-filled thistle feeder, that offers a simple way to attract small birds to your yard. Available only through retail stores.